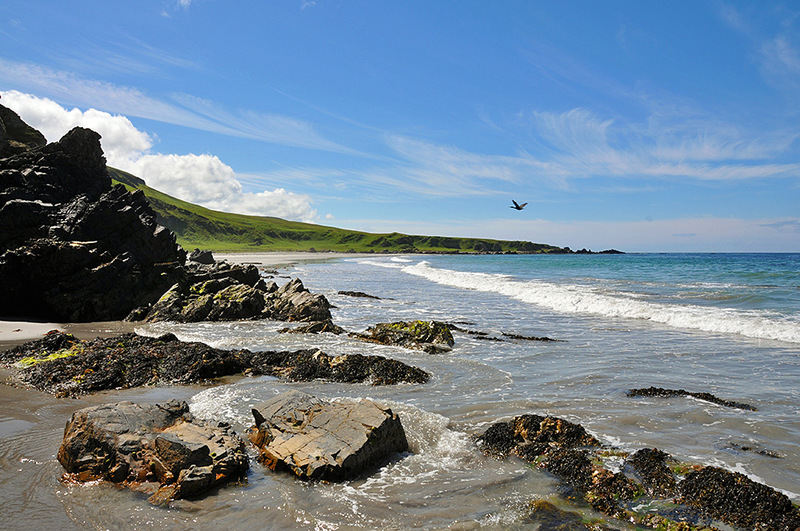 A view at Bàgh an Dà Dhoruis in the far north of Islay. This is looking west from the eastern end of the bay, having walked through the natural arch. Small waves are rolling in, swirling around the rocks on the beach at this end.